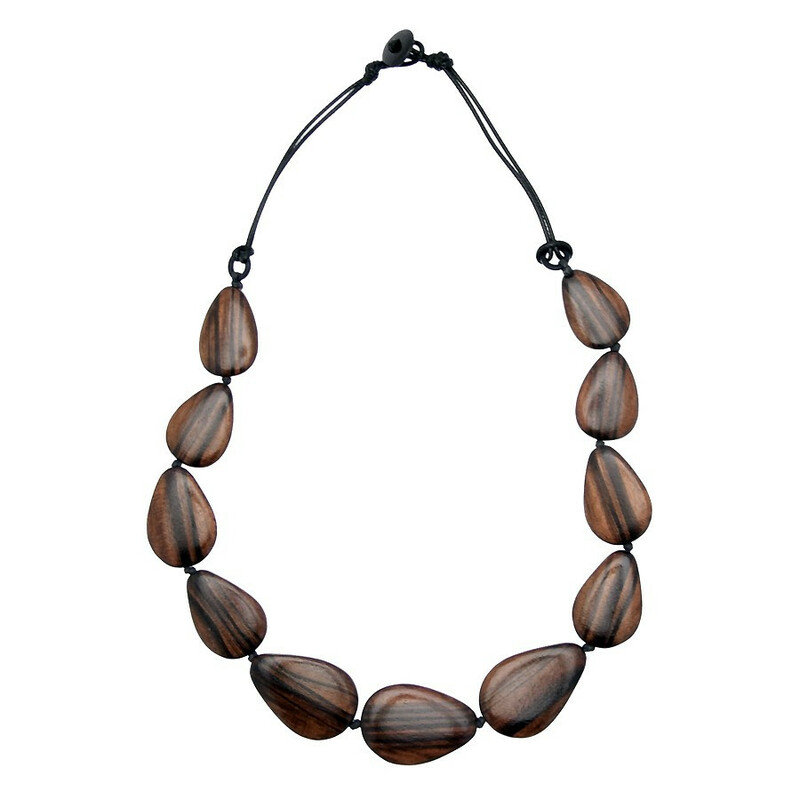 Dress natural with this necklace made of eleven wooden drops. Dress natural with this necklace made of eleven wooden drops. The drops are nicely varnished and are inlayed with a different kind of wood. The necklace fastens with a wooden buckle. This necklace is easy to wear with woollen items.